What drives Pat Morrell of FitzGerald Morrell? In a digital world, these Charlotte humans are making stuff you can touch. This is part of our ongoing series titled Makers. 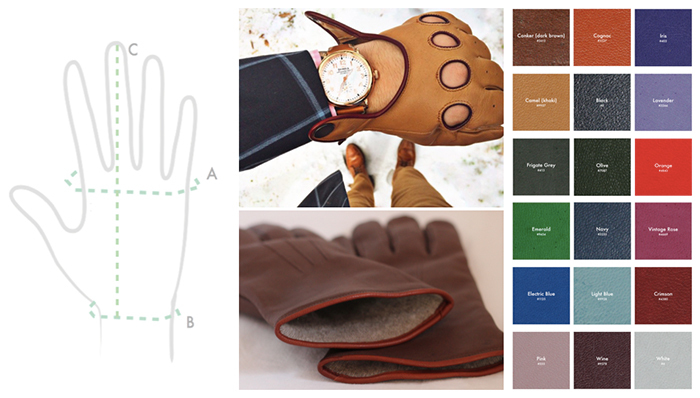 Pat Morrell is the founder of FitzGerald Morrell, a bespoke, custom-tailored glove company. What is the most popular item that you make? Cost and photo. 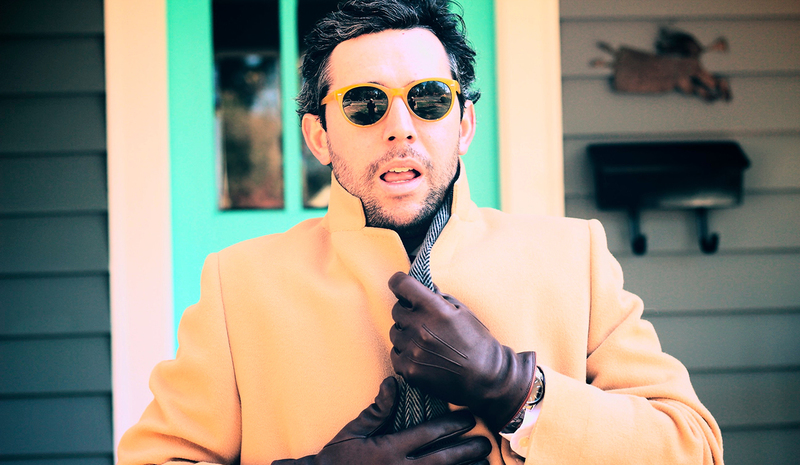 Since we launched last November, the “Broughton” & “Bennet” gloves are by far our biggest sellers. Broughton for the men, Bennet for the ladies. 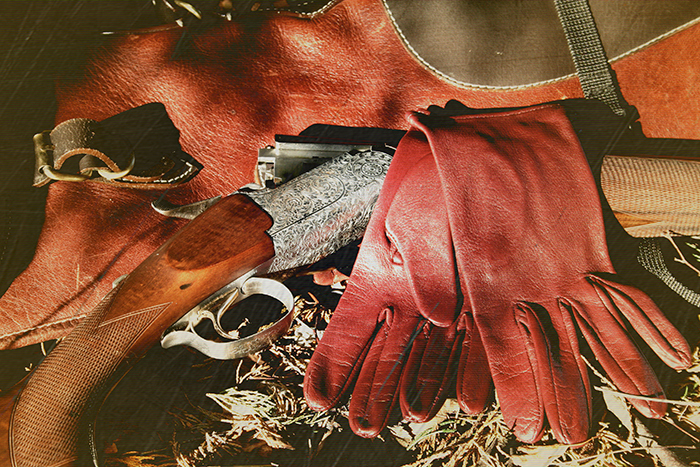 Leather quality: you can’t beat Pittards, the most comfortable & durable on the market. Color options: we offer 20 customizable colors. Lining: unlined, silk, or cashmere…take your pick. Broughton and Bennet each retail for $225. How did you start making this item? I think it’s largely due to the fact that I searched for proper-fitting gloves for a solid two years, and came up short. Department store options were pre-sized and low-quality. Boutique labels and fashion house options blew my budget (and still didn’t fit my big hands). *Is that weird? Yeah, probably. Well…definitely. 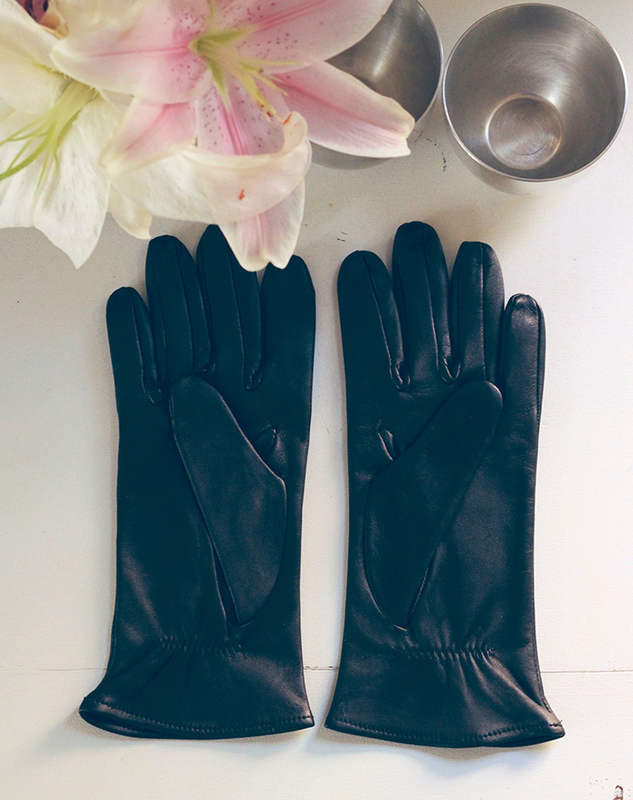 But I figure every almost-30-year-old deserves his/her own little obsession…mine is leather gloves. Go figure. **I married an English teacher, and I’m half Irish half Italian…so sometimes I wax poetic. The process from “order placed online” to “hot damn, I’m wearing new gloves” typically takes 8 weeks. Our clients receive a Fit Kit in the mail (we’re oldschool; we like paper and stamps) so they can trace their hands and log their measurements. That Fit Kit order form goes to our workshop in the UK where it enters the glovemaking queue. Our team then hand-cuts and custom-sews every pair of gloves, and sends them back to our stateside HQ for one last review before going straight to our customers. This is true bespoke craftsmanship. It takes time. We keep our clients apprised of their order’s progress every step of the way. For some folks we know 8 weeks is a long time to wait (especially if it’s cold outside), but this way, the oldschool way, the custom-tailored-unparalleled-quality way, the (in our opinion) right & only way, requires time and patience. How did you learn how to do this? Who taught you? Full disclosure: I, Pat Morrell, did not learn how to do this. This skill takes years to learn, and years more to perfect. I do not personally make these gloves. I’m not very self-deprecating, I’m just honest: I don’t have the skill or patience of the crafts(wo)man. But I do have an abundance of appreciation and respect FOR the crafts(wo)man. I like to think of myself as the ambassador for the craftsman. The person who introduced me to this world — and one of the most talented designers and charming people you could ever meet — is my partner in the UK, Sam. She’s the designer’s eye behind every style in the FitzGerald Morrell catalogue, and I’m extremely fortunate to have found her and our team of glovemakers. Mr. Jim Pendergast of Birmingham, AL by way of Atlanta, GA. A great friend, fellow entrepreneur, and one hell of a model American. I’ve been extremely fortunate to have the support and patronage of a number of friends and family members. In particular, I’d like to give a hat tip to the Riley family of Bristol, VA, the Morrell family of Raleigh, NC, and the Ratliff family of Birmingham, AL — all enthusiastic supporters of FitzGerald Morrell in these early days. I can’t thank y’all enough. How did your first prototype look/feel? It will sound like bragging…and I don’t care. The answer is “splendiforously perfectionable.” My first test customer was me. And I wasn’t easy. Wide palms, long fingers (some made crooked by years of football and basketball), and (to put it nicely) a pickiness about how things should fit. The moment I slipped on my first test pair of Broughtons, I Skyped Sam in the UK and must’ve really freaked her out with my frenzied excitement. I knew we had something. How do you develop product? I’m pretty open-minded when it comes to our clients’ ideas. And Sam is a talented, creative, nimble, and fast-moving designer. When you see a customer with your item, how does it make you feel? When I realize after 30 seconds that I’ve been fondling their hands to confirm the fit and quality of their gloves, I feel a little creepy. After that, I get really really stoked. And then really really grateful. 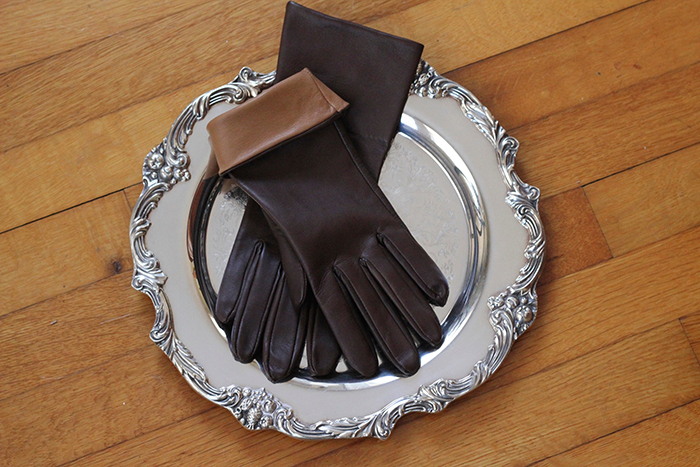 FitzGerald Morrell gloves are not inexpensive. To buy a pair is to make a commitment, and investment in a lasting wardrobe staple. I’m thankful to folks who make that investment in these gloves, in our company, in quality. CA roots. Now found in NY, CA, OR, DC, MD, & NC. Lawyers. Media leaders. Real estate tycoons. Doctors. Sports TV producers. Nurses. Salesmen. Startupers. Practically invented loafers-without-socks. Life of the party. Quickest wits. Culture mavens. Stylish (Uncle Mike taught me how to tie my first bowtie). Smart. Elegant. 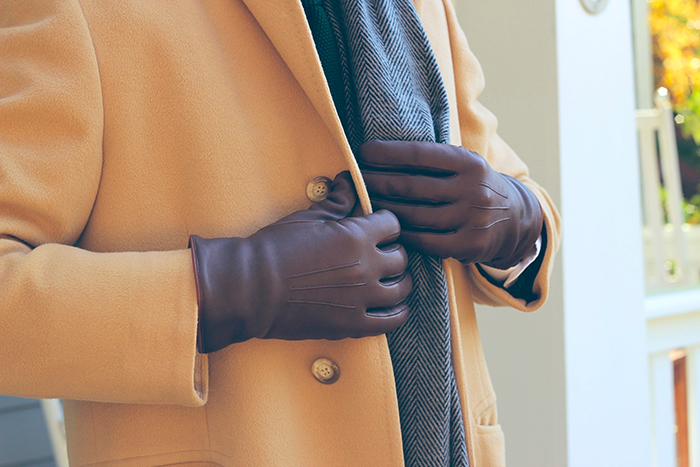 Again, I’m obsessed with gloves. I think it’s because I feel like I cracked the code on them somehow…for years, I couldn’t find any that fit. And then I found a way to make them myself. Problem solved. Now I put them on, and they’re my favorite thing I’m wearing. I love the idea of making other people’s favorite thing to wear. I’m also a starry-eyed entrepreneur. I love the challenge or starting and growing a business. I love talking to other entrepreneurs about their businesses. I love talking to customers and solving their problems with new products and designs. I love how I’m exhausted on a Thursday night finishing this interview, waiting for my wife to come home from her passion job so we can chit-chat for a few minutes before collapsing into bed and falling asleep to then do the same thing tomorrow morning. Life’s just more thrilling and awesome and worthwhile when you’re drowning in passion projects. What would this item lose if it were mass produced? Would you ever mass produce? If you use a big, hulking machine to hardpress 1,000 pre-sized glove forms out of 1,000 thin pallets of cheap leather, you run the risk of creating 1,000 poor-fitting and low-quality gloves. But modern efficiency and scale production aren’t inherent enemies of good gloves. In fact, right now we’re moving toward offering our clients a non-bespoke glove option. 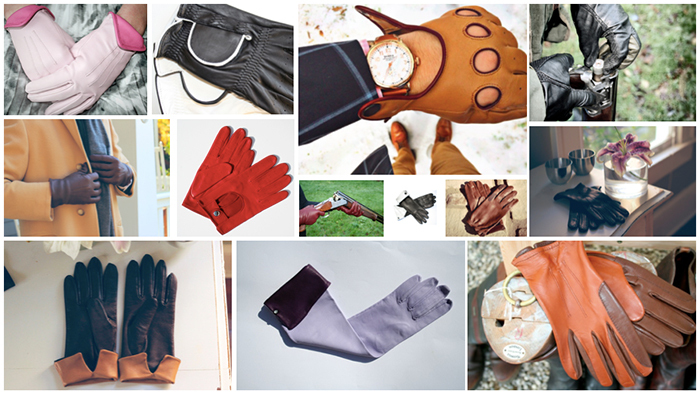 We’ll still make our gloves with Pittards leather, we’ll still offer 20 color varieties, we’ll still offer silk and cashmere linings, we’ll still hand-cut all the leather…the only change will be that our glovemakers will make those cuts according to industry sizes, not custom measurements. We won’t have to wait for a client to complete a Fit Kit (which will cut delivery time from eight weeks to four). Some of our clients have been telling us that the industry size models (6.5, 7.5, etc) actually fit their hands perfectly, and they would prefer a standard measure and model. We’re happy to oblige, so we evolved our offering accordingly. And with this pre-sized option, we can open up FitzGerald Morrell to retail partnerships that would be otherwise infeasible. Long story short, we’re learning and evolving like every other business. Our loyalty is to our customers and to our own professional threshold of quality. As long as we can honor both loyalties, we’ll explore avenues for growth. What’s one thing you’ve learned about making a physical item that would surprise people? The best way to make something may just be the way it was made 100 years ago.